Photo of yellow snails from the book ‘Seashells,’ photography by Josie Iselin, text by UC Davis Professor Sandy Carlson. Books by UC Davis Authors, featuring recently published works of scholarship, fiction and more by faculty and staff. The University of California, Davis, presents a sampling of books by campus authors in this last-chance-for-summer reading list, starting with The Last Laugh, Lynn Freed’s well received novel about women who are trying to write new lives for themselves as they enter their 70s. We also include Down the Up Staircase: Three Generations of a Harlem Family; a history of the Ghost Dance religion; a new work by Pulitzer Prize-winning poet Gary Snyder; two volumes about pets; and a not-so-old favorite, Seashells. Enjoy! The Last Laugh — Freed, a professor emerita of English (2000-15), delivers her seventh novel, in which three friends — Ruth, Bess and Dania — head to an island in the Aegean Sea for a year of peace and quiet, of “no service, no duty, no motherly or grandmotherly obligations.” It’s wishful thinking, of course. Soon the women are interrupted by everything from which they’d wanted to escape, and more: not only children and grandchildren, but sponging old lovers and a psychotic client. NPR’s Maureen Corrigan called The Last Laugh “a Campari spritzer of a novel: bubbly and colorful, but with an underlying note of bitterness to add satisfying complexity.” Indeed, as Henry Alford wrote in his front-page piece in the July 30 edition of The New York Times Book Review, “Freed is intent on something deeper, more unsettling: Can we ever really absent ourselves, even briefly, from the important people in our lives? Is it lunacy to think we have an essential self — a self that exists outside our relationships to other people? Why is freedom so terrifying?” The Last Laugh, Sarah Crichton Books/Farrar, Straus & Giroux/July 2017. Read more about The Last Laugh and Freed’s next book, The Romance of Elsewhere, a collection of essays, due out in October. Seashells — This 10-year-old volume is both an art book and a science book — with Professor Sandy Carlson, a paleontologist and biologist, taking care of the latter. Josie Iselin provides the photography, while Carlson provides the text, introducing seashells in all their variety and explaining why they look like they do. “It is a very good summer book, and readers have told me that they enjoy going through it with their little kids, too,” Carlson said. Seashells, Harry N. Abrams/June 2007. Down the Up Staircase: Three Generations of a Harlem Family — Bruce D. Haynes, associate professor of sociology, and his wife, writer and educator Syma Solovitch, chronicle the journey of Haynes’ Harlem family through three generations, connecting their journey to the larger historical and social forces that shaped and transformed Harlem and New York City across the 20th century. Hayes and Solovitch weave memoir and sociology to document the shifting fortunes of the black middle-class family, and of Harlem itself, and illuminate the tenuous nature of status and success among the black middle class. Down the Up Staircase, Columbia University Press/April 2017. 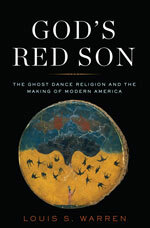 God’s Red Son: The Ghost Dance Religion and the Making of Modern America — Louis Warren, UC Davis’ W. Turrentine Jackson Professor of U.S. Western History, offers a startling new view of the religion known as the Ghost Dance. From the publisher’s description: “To this day, the Ghost Dance remains widely mischaracterized as a primitive and failed effort by Indian militants to resist American conquest and return to traditional ways. In fact, followers of the Ghost Dance sought to thrive in modern America by working for wages, farming the land, and educating their children, tenets that helped the religion endure for decades after Wounded Knee.” God’s Red Son, Basic Books/April 2017. Wildness: Relations of People and Place — Gary Snyder, professor emeritus of English and winner of the 1986 Pulitzer Prize for Poetry, contributes a new work, “Wildfire News,” to this anthology of poems and essays. Snyder’s poem leads off Part 1: “Wisdom of the Wild,” about the wildness of wilderness areas. The book’s co-editor Gavin Van Horn, in his introduction, describes “Wildfire News” as “a nod toward chaotic planetary forces and the embodied wisdom of adaptive organisms such as redwood trees — a wild dance millions of years in the making that places human achievement in perspective.” Wildness, University of Chicago Press in association with the Center for Humans and Nature/March 2017. The Science Behind a Happy Dog: Canine Training, Thinking and Behaviour — By Emma K. Grigg, a postdoctoral research associate in the School of Veterinary Medicine, and Tammy M. Donaldson, both of whom are certified applied animal behaviorists. Topics include current understandings of what good quality of life means for dogs — what they need to be happy and well adjusted (nutrition, physical and mental exercise, socialization, vet care); and recommended humane training approaches. The Science Behind a Happy Dog, 5m Publishing/June 2017. The Petitation Companion: Enhance the Lives of You and Your Pets with Mindfulness Meditation — By Elisabeth Paige, a postdoctoral researcher in the School of Veterinary Medicine, and Joanne Leslie, her mother. Suffering from bipolar disorder, Paige knew meditation would help her condition, but she couldn’t muster the concentration required. Then she involved her dog. This 2016 volume provides instructional prose, sprinkled with anecdotes and humor, to help people focus their minds on “petitation.” The pet might get something out of it, too. The book and audio components are available online. Read more about The Petitation Companion in this UC Davis news release.